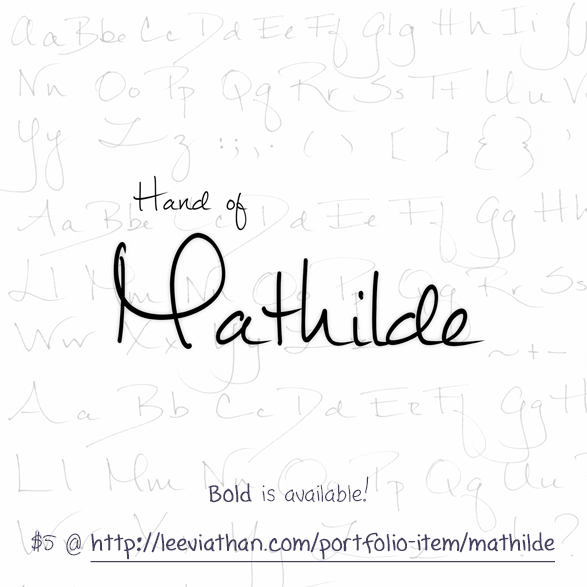 Trademark notice: Mathilde is a trademark of Lee Batchelor. Description: Copyright (c) 2012 by Lee Batchelor. All rights reserved. 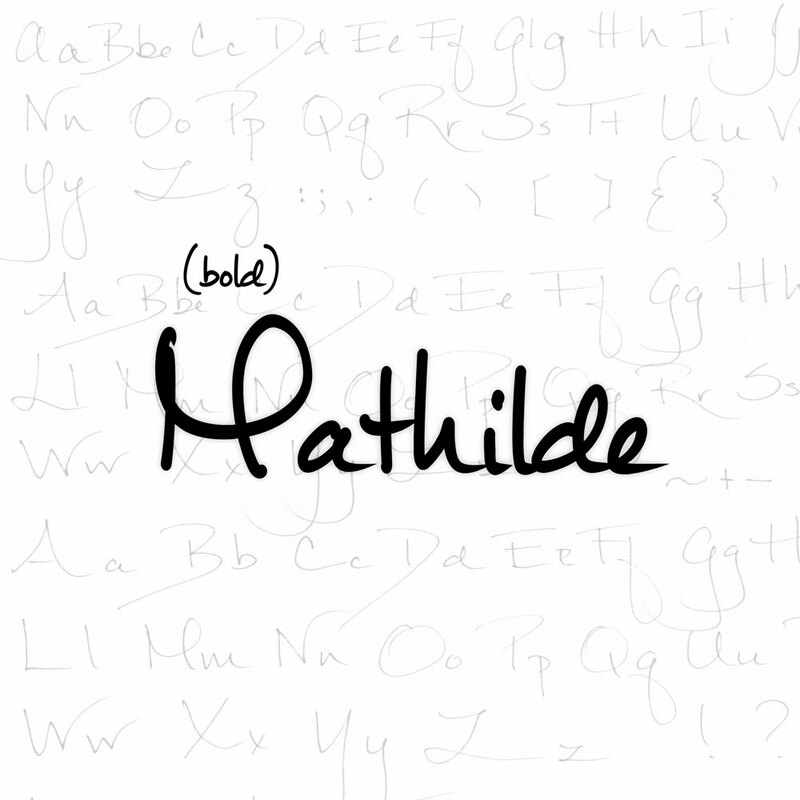 "Mathilde" is a handwritten, cursive/print hybrid typeface that includes accented letterforms, math symbols, as well as opentype contextual alternatives for common double-letter combinations. 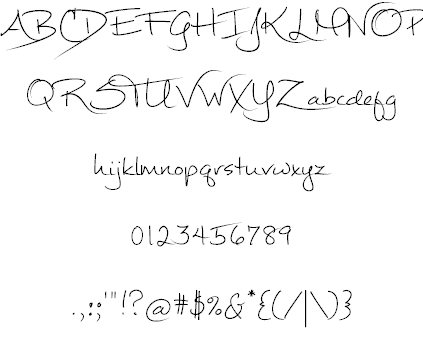 The font is free for personal as well as commercial use, but donations are always appreciated. Thanks!